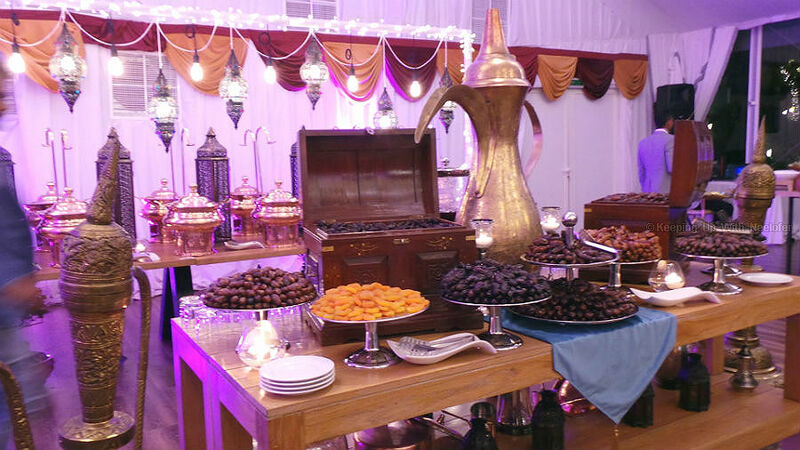 When we welcome the month of Ramadan, we also welcome the lavish tents and the food spreads across the city of Dubai. 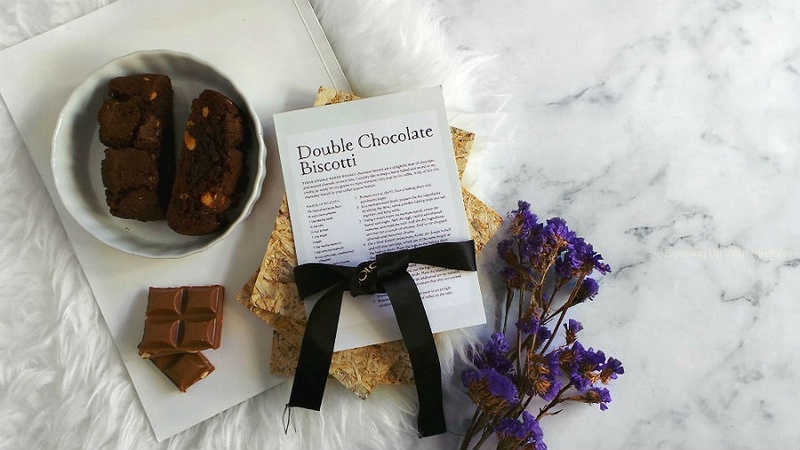 While the holy month isn't really about the food, hotels have taken it upon themselves to create visually appealing and satisfying food whilst creating a menu featuring local and global cuisines. It's nice to step out of the home once in a while and break the fast in a Ramadan tent. For those who aren't accustomed with what that is, it's not a tiny tent but one that is air-conditioned and can host upto 1,000 people. 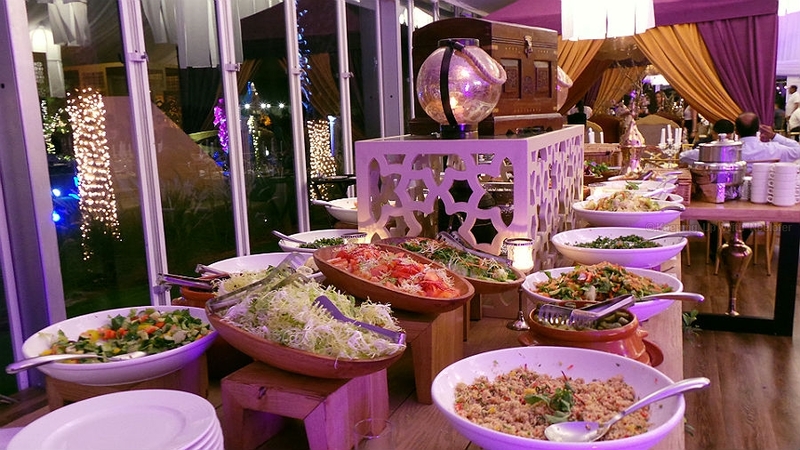 One of the best things about Ramadan tents is the fact that it welcomes all individuals (non-fasting included), regardless of caste and creed to dine with the rest and learn about the origins of this month. Top level info that you need to know about Ramadan is that we fast for a month (yes, "not even water"), iftar is known as the time we break our fast and suhoor is when we eat prior to fasting. We celebrate the end of Ramadan with Eid (that's one day when nobody cares about calories or gyms). While there are certain tents I always prefer, I love exploring new ones (i.e. those I haven't visited yet but have been around). 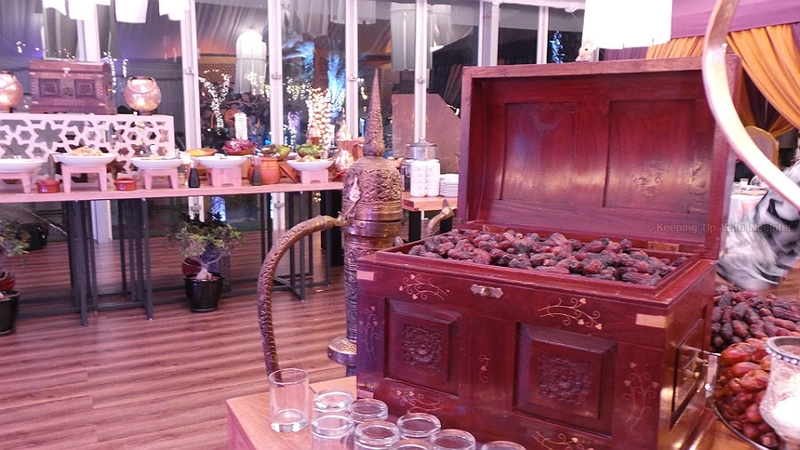 I was invited to the Amiri tent located at The Address Hotel, Montgomerie, Emirates Hills. The tent has been specifically created for Ramadan on the lush lawns of the hotel's landscape and overlooks serene man made lakes. The exterior is as pleasing as is the interior. 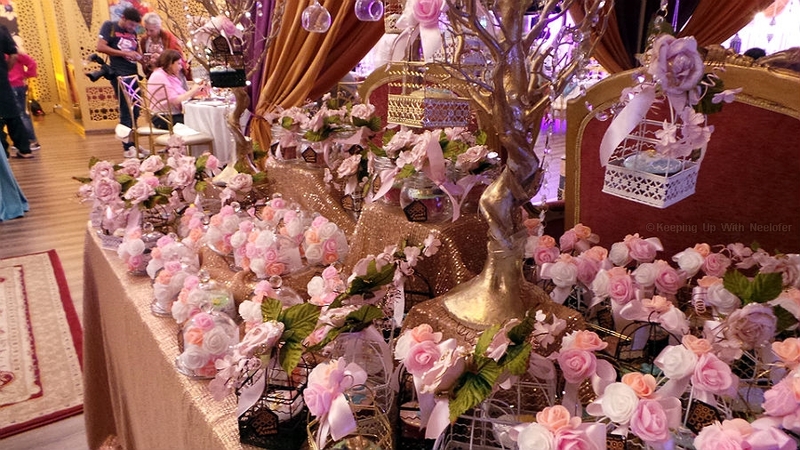 In true Ramadan spirit, the seating reflects beautiful lanterns and Arabic hospitality. The cuisine is international and includes Arabic food (the desserts are primarily just that, and I love it!). Think cold and hot mezze, tender meat, flavorsome rice (both, Indian cuisine) and thirst quenching juices. As for the desserts? It's a spread of almost every traditional Arabic dessert- from Baklavas (my favorite!) to Mohalabiya (another favorite) to Knafeh, there's something for everyone. The Amiri tent is truly a tranquil place for iftar (or suhoor for that matter) as the views surpass none. I give it 3.5/5 stars. 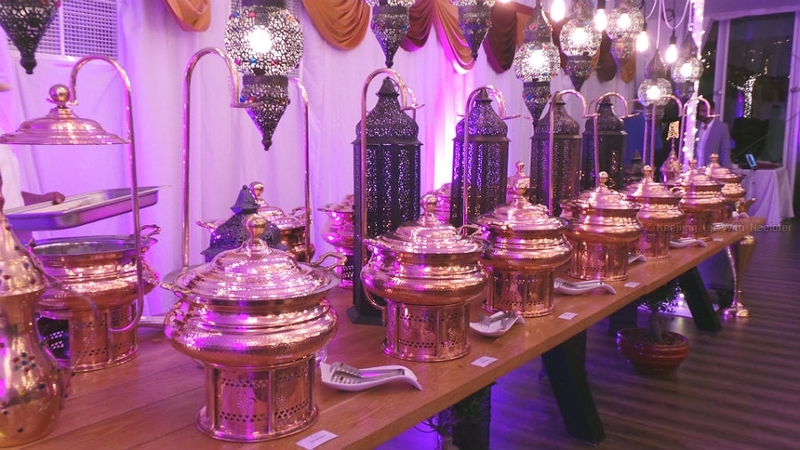 Iftar is at AED200 per person (7pm-9pm) and suhoor at AED 170 (9.30pm - 1.30pm). 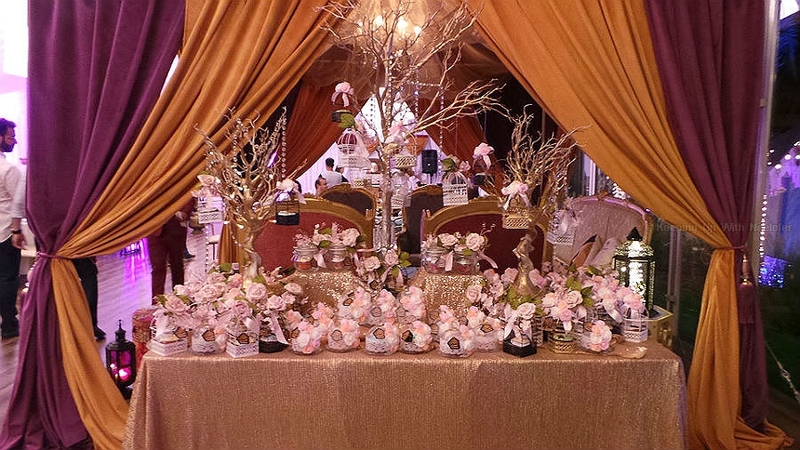 The Amiri tent is located at The Address Hotel Montgomerie, Emirates Hills.